Camilla Check Skirt https://www.review-australia.com/asia/camilla-check-skirt-navy/RE19SK119.RENVY026.html Make your pleated dreams come true with the Camilla Check Skirt. This twirl-worthy skirt features a vibrant print and of course, pleats! Perfectly nipped in at the waist so you can tuck in your favourite top and you're ready to roll. Worn with Ovalette Top and Beverley Heels. 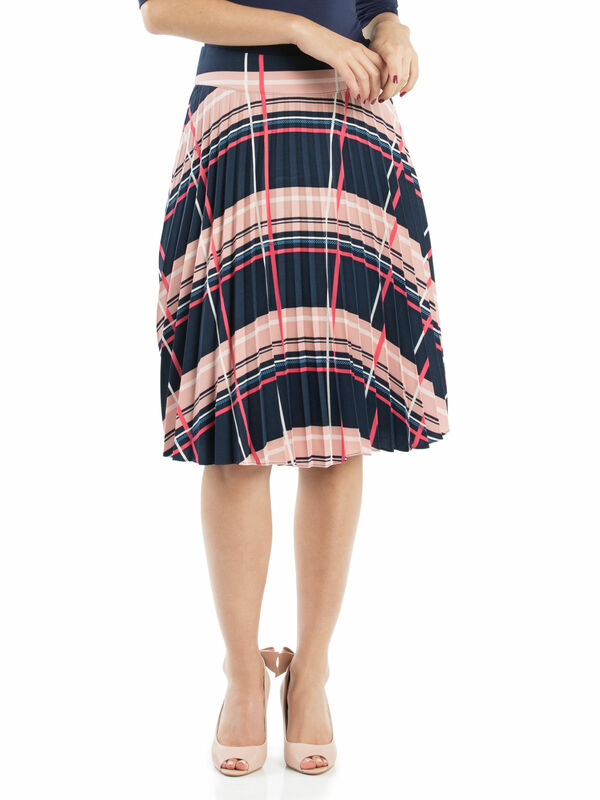 Make your pleated dreams come true with the Camilla Check Skirt. This twirl-worthy skirt features a vibrant print and of course, pleats! Perfectly nipped in at the waist so you can tuck in your favourite top and you're ready to roll.